This was taken from my upstairs window. This is the front of the house and you can see where the bluebird box is mounted (about 6 feet high). 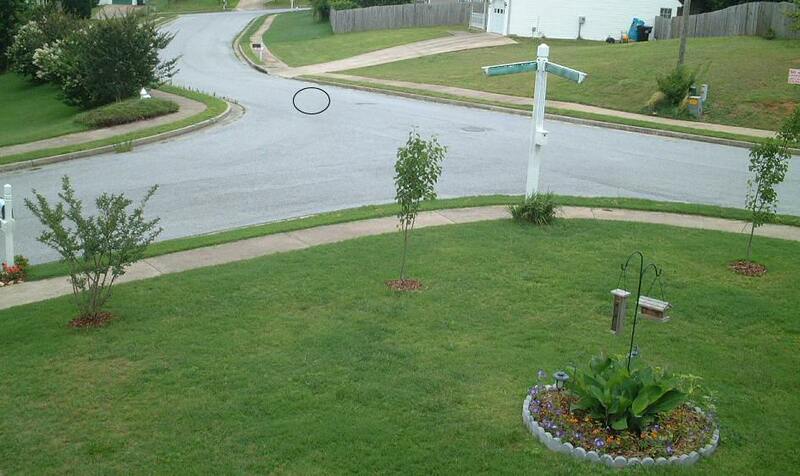 The circle indicates where the inital hawk attack took place. The hawk flew a couple feet to the left hand curve, landed, plucked some feathers from its victim several times and then flew off to the left behind the other houses.